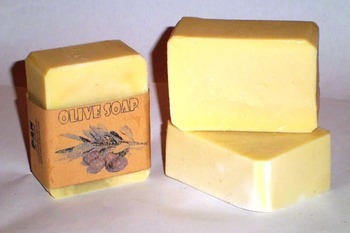 This is pure Olive Oil Soap; also called castile soap. This is a marvelous soap made since medieval times. It is made from 100% olive oil. Olive oil makes this soap gentle and mild and works as a skin moisturizer. This kind of soap can be used as hand soap, a bathing soap and also as a natural shampoo bar.